"Dr. Jay is amazing with my kids!" See what other parents are saying about Dr. Jay. As for my approach to dentistry, I follow the oral health policies and clinical guidelines set by the American Academy of Pediatric Dentists. That means your child will receive the best treatment my field has to offer. Dr. Jay is committed to making your child’s dental experience fun, educational, interactive, and to creating happy smiles! His gentle approach to care puts patients and parents at ease.Providing outstanding dentistry gives your child a solid foundation in excellent oral health. 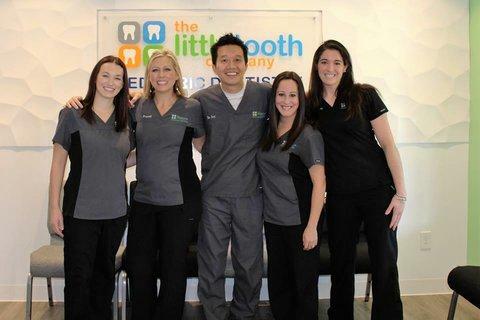 On behalf of all of us at The Little Tooth Company, welcome! You’re probably wondering if our practice is right for your family. To help you decide, let me start by telling you a little bit about myself. 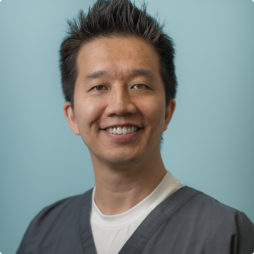 I graduated from Tufts University School of Dental Medicine, specialized in pediatric dentistry at Boston University, and have been practicing pediatric dentistry in the Hartford area since 2008. I’m on the board of the Connecticut Society of Pediatric Dentists, and I am a dental consultant for Head Start, a state-run early childhood development program. I am also a volunteer instructor for the dental assisting and hygiene schools at Lincoln College. I hold surgical hospital privileges at Hartford Hospital and The Hospital of Central Connecticut. As for my approach to dentistry, I follow the oral health policies and clinical guidelines set by the American Academy of Pediatric Dentistry. That means your child will receive the best treatment my field has to offer. I have two young children and I make my clinical decisions based upon the recommendations of the AAPD, but apply these guidelines in a manner that I would treat my own children. This involves taking the time to make sure kids are comfortable and explain each step involved in the appointment. Ensuring the child has a good dental experience is of paramount importance so we can ensure the patient will enjoy future dental visits. Also, as a father I like to be involved in my children’s care so I like to communicate closely with parents. Sometimes we even involve them in the appointments to make the visit a group effort! We welcome patients from toddlers to college aged individuals to our practice and tailor our treatment regimen to meet their needs as they grow. Gentle dentistry is important to us, and we always make sure your child is comfortable. We know this small detail can make dentistry a more positive experience for them. From prevention to orthodontics, we treat your children with the care and compassion we want for our own kids. Our patients truly become like family! Our team works in a brand new space. The décor is fun and cheerful. Our waiting room has video games for children to keep occupied while parents can enjoy a hot cup of coffee until their child's appointment. There is lots of natural light, creating a cheerful atmosphere. The equipment is state-of-the-art, and we have TVs for children to watch movies and cartoons during their appointment. Most of the treatment chairs are in one big room, making a trip to the dentist feel like a group activity. For patients and parents who would prefer a private room of their own, we have those too. We value community and have dedicated ourselves to improving the health of Southington, Connecticut families. Dr. Jay teaches at the local college, volunteers to provide dental care for those in need, and works with local daycares and schools to teach kids about the importance of oral health. By staying involved with our community, we invest in its future and promote healthy smiles! As for payment options, we are happy to file insurance claims for all insurance plans. We also accept Medicaid/Husky. We are proud to serve the families of Southington, Bristol, New Britain, Cheshire, Meriden, Wolcott, and other neighboring towns. Give us a call at (860) 426-2643 to book a dental appointment or use our convenient online form. Thanks for considering The Little Tooth Company. We look forward to exceeding your expectations and delighting your children!